Inspiring Ideas with artist Jeanne Winters: Desserts for New Years Parties! Desserts for New Years Parties! 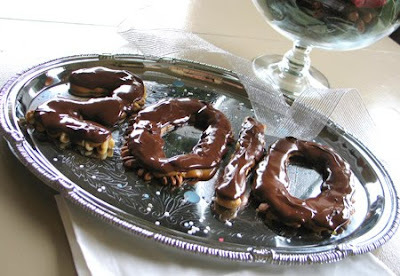 Spell out "2012" in chocolate turtles! It's hard for me to post these in time for others to do before the New Years parties ... so this year I'm trying to do better with these reminders of previous years. 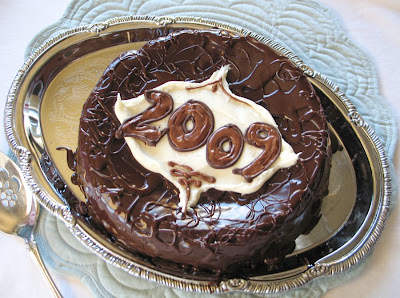 Desserts around here generally involve lots of dark chocolate, but this year medallion style could be done on any kind of cake. Enjoy! !